How to Write a Resume With No Job Experience? It's not a simple task to look for a job without work experience, for example, immediately after graduation from the college or university. However, you might have a lot of other qualities that can attract the employer - your energy, the desire to work for the result, the willingness to learn something new and fresh knowledge. The main thing is to give it all right to the employer. If you don't have the opportunity to hire a professional company from the Resumance reviews, feel free to make a resume yourself: the tips below will help you in this task. Often an employer doesn't have the faintest idea of how the knowledge you received at the university can help during the work. Your job is to show it to him by writing about it in your resume. Highlight the specific skills that you received at the university. Compare them with the requirements of the employer and write them in the resume. For example, if during your studies you had to work with a lot of statistical information, show this as your competence. Do you have extensive public speaking experience? Another useful skill for many posts. By writing in the resume practical skills, you immediately show your employer your advantages as a job seeker. Your unconditional advantage over other more experienced candidates may be a willingness to learn and develop new skills that are necessary in the company. Show, for example, which courses, trainings, exchange programs, internships you took during the study period. At the same time, it's worth noting exactly what skills you got during training and practice. Write in the resume any additional activities in which you took part during the study. This can be the organization of the festival, volunteer activities, participation in large conferences or discussions. The main thing is not to overdo it. Don't provide a complete list of all the student conferences that took place at your school. Think about what exactly can impress the employer and be considered your real merit. Fluency in a foreign language in almost any profession is a huge plus. Language skills, as a rule, not only positively affect the decision to employ, but also in some cases affect the starting salary. Don't forget to write in the CV about the languages that you know at the primary level. Even basic knowledge will add weight to your resume (for example, if you have taught two languages at a university or you have completed additional courses). In a situation where work experience isn't enough, the cover letter is your main assistant. It has a more personal character and it's possible to show in detail that you are an active, responsible, motivated, result-oriented employee. Concisely explain why this work is important for you, what you know and can offer the company. With the help of a letter, you can also draw the attention of the employer to your strongest points as a candidate. Read our latest blog to find more cover letter writing tips. Recommendations are among several most important things employers expect to see. Find someone who can give you a good recommendation. These contacts should be at your fingertips. Also, it's worth adding them to the cover letter that you'll send along with the resume. Think about which of the teachers or coaches from whom you have taken additional courses will be able to answer the questions of the employer in detail. Don't include in the list of recommendations your relatives or roommates. Adapt your resume to a specific employer. This, of course, will take more time, but it'll increase your chances of success. Examine the list of requirements of the employer and compare it with your skills. Concentrate on not just revealing your strengths, but show those traits that the employer is looking for in the job seeker. 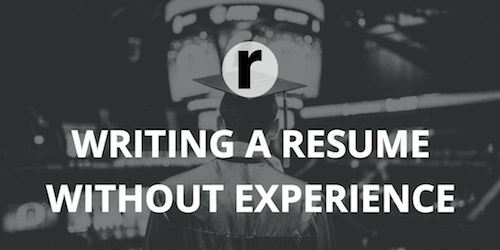 In most cases, you do not have to completely rewrite the resume. But, be sure to clarify some points and add so-called keywords: the main terms used by the employer, setting out the requirements for the vacancy.